In the years that we’ve marketed plumbers, landscapers, roofers, contractors etc., there’s one very common mistake that we find in most of their marketing campaigns…. 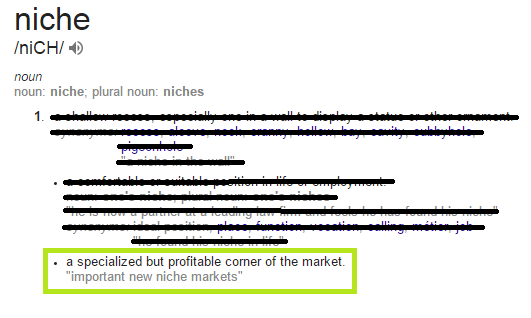 One of the easiest and most profitable ways to market is by taking on a niche (a corner of the market) and becoming the dominant player in that area. You could literally double your income by doing this. A great example is with Green Scene Outdoor Lighting. We’ve taken one service offered by a landscaper (outdoor lighting) and made them the dominant player in their area for that service. While other landscaper websites maintain a focus on all landscaping services, Green Scene took over the outdoor lighting market and became the biggest name in Outdoor lighting for their city (and even some of the surrounding cities). That doesn’t mean they don’t still do landscaping (they’re still doing plenty of landscaping work). 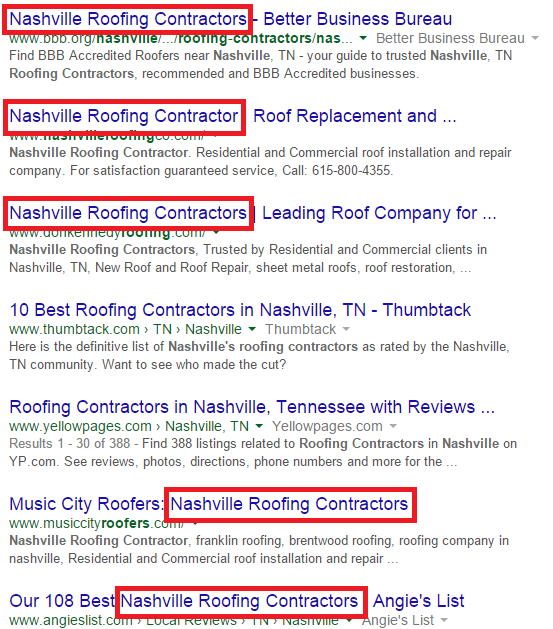 Try doing a Google search for “Nashville roofing contractors” and you’ll see that almost everyone is competing for that phrase. Can you imagine trying to become a new roofer in any major city and try to compete for a search phrase like this? Everybody and their dog wants to be at the top of Google for these kinds of phrases. The problem is that there’s so much opportunity being missed by being so broad and general. Take a look in any city and you’ll see the same thing repeating over and over. Companies competing for “Chicago plumber” or “Dallas Pest Control” etc. Now, don’t take my word for it. Do a Google search for your trade and your city. After you’ve done that, try searching for some small segment of what you do that still brings in profit to your company (if you’re a plumber, you might check out how many people are competing for toilet replacement work or drain cleaning). Another great example of someone completely dominating with this is Matt in Hawaii. He’s completely dominating for low cost draining cleaning in Hawaii. Here’s his website if you want to check it out. You might ask yourself “Well doesn’t that mean you’re completely missing out on all the money you could be making with the rest of your services?” The answer is no. Imagine for a moment that you’re completely dominating in your city for drain cleaning, or landscape lighting etc. You’ve now gained the business of the people in the area and they know and trust your company. If you’ve left a good impression with everyone you work with, they’ll call you for the next thing that they have come up. With that being said, we strongly suggest that you take a look at some of the services you offer that are profitable, and see if your competitors are taking over the market for that service. If there isn’t much competition for it, then take some time to become the greatest in your area for that service. As always, thanks for visiting Zing Marketing! If you’ve tried niche marketing, let us know about any success or failures that you’ve had. If you haven’t and you’re interested in trying it out, feel free to contact us for advice on how you can do this. What would you recommend as a small segment for a roofing company that handles all exterior work? That’s a great question Violet. When a company works with us we do the research to see what people are searching for in the area, but to give you an idea of places to look, I’d check to see if there’s search traffic for things like “roof leak repair” or “missing shingles” and even phrases related to hail damage and wind damage. In some cases we’ll work with a contractor who is in a major metro area who can’t gain an advantage in any service they offer. We’ll also recommend targeting some of the suburbs around the city you’re located in (it looks like your company is doing this London, OH). Sometimes the competition in a major metro area is extremely difficult to get around, and it’s much easier to be the top Roofer in every city surrounding that major city.